1. First, to disassemble the sign, read here. 2. The cable meets the cat5e standard，568B standard. Can only be inserted in the LAN Near usb port. First, to disassemble the sign, see here. 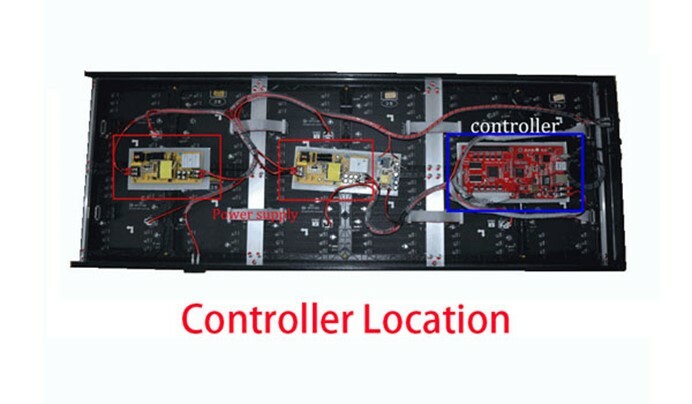 1.There is two power supply in the sign, Each power supply is connected to three LED modules. 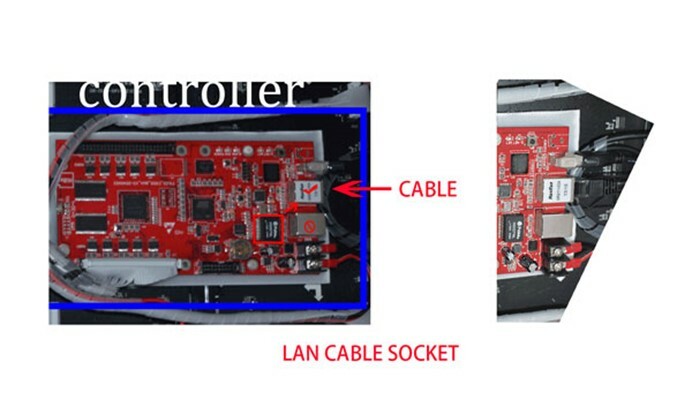 2.input terminal and output terminal is located on both sides of the power module, Don’t be reversed. 3.On output terminal, the red wire is +5v, the black wire is GND, Don’t be reversed.